I have been considering the role of the teacher lately. What does the teacher help us do? I think we can all agree on a little list that says something like…helps us learn new information, keeps us accountable to someone, directs our learning. But what does a great teacher do? Think back to all the teachers you have had in your life- school teachers, sports coaches, relatives, friends- the role of the teacher comes manifested in many forms. Now think back to the ones that really stick out in your mind and bring a fondness of memory- what made these teachers different from all the others? What made them so significant in your memory? I know for me they are the ones that inspired me- that literally breathed life into my realm of imagination and animated new possibilities. Even to have one teacher like that in our lives is a blessing; I have been blessed with more than one. Sometimes when I am teaching I have had students approach me after class and tell me things like how ” the class spoke exactly to what I needed to hear” and ” how did you know what I was thinking?” I had one student even say that my classes have changed her life. I have to be honest with you and say my first reaction wasn’t ” Hey- cool!” it was more like” NO- I don’t want that responsibility!”. I had to ground a little and remind myself that what was happening was good and natural- that as students started opening they would look to me as the agent of that change. But thankfully, because of one of my teachers John Friend, I know more clearly what is happening. For a great teacher is just a conduit of light, a beautiful pure light that allows the students to see more clearly in an often dark place. The teacher becomes the mirror merely reflecting back the realm of possibility inside the student and the student starts to see what has always been there- their own power. This sounds simple but to be a conduit is not easy- you must be strong inside and out. The conduit carries the light but must not confuse itself by identifying as the light. When teachers identify as the light, as the transformative power itself, than their ego becomes misaligned. They become ego driven and then all sorts of ugliness arises: jealousy, fear, narcissism, and greed. The teacher must always remember the source of their power and realize that it is the students Grace- chali-kripa in Sanskrit- that allows them to take the seat of the teacher. When the teacher holds that remembrance they can be dynamic and successful but always humble. In yoga, teachers prepare through meditation and asana to be the conduit but I have had many great teachers that were not yogi’s- how does that happen? If they do not meditate and do asana how do they become such amazing conduits? I think the answer is Love. All my teachers that were great loved what they did and loved their students. 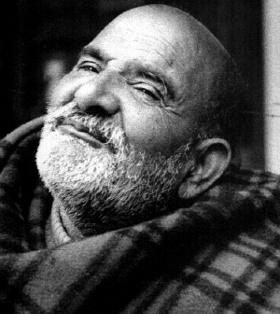 I often think to Ram Dass speaking of his teacher Maharaji ( Neem Karoli Baba) and saying that his power was the ability to love everybody. When we love someone unconditionally we give them the confidence and support to go inside. Love comes from the heart, it is not tempered by the ego, and therefore the teacher that teaches from love is always aligned. I believe that mediation and asana can help the love get stronger but the love must be there first- the love of sharing, the love of empowering others, the love of seeing someone grow into who they are in their heart. I had coffee with my Grade 2 teacher last week- I hadn’t seen her in over 30 years. I sent her a letter a few months ago to tell her what an influence she was in my life and how her business trip to Japan with her husband in 1977 changed my life. She had come back full of enthusiasm with wonderful photos and kimono’s for us to touch and rice crackers for us to taste and a beautiful doll in a glass case for us to gaze upon. Her love of sharing greatly affected me and to her shock and amazement her small influence changed my life. I have a University degree in Japanese Studies, lived in Japan for many years and speak fluent Japanese. My connection with Japan brings such happiness to me that it is hard to imagine that door may have never opened if it not been for her. She was so amazed to get my letter and she said it was every teacher’s dream that they had a student tell them that they made a difference. We plan on meeting for coffee a lot more often now! Every time we teach we have the opportunity to awaken something in the student. I like to think that rather than focusing on that if we simply focus on becoming the best conduit that we can be- full of love, enthusiasm and gratitude – the awakenings will naturally happen…for both the students and the teacher. And go find an old teacher and tell them how great they were and why…..